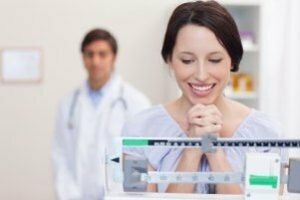 At Dr. Urshan Health & Weight Loss Center Tampa, our weight loss clinic will help you lose the weight you have been fighting. We use our proprietary system to customize a course of action to help you lose weight. In just 40 days*, you can start your transformation to a new healthier you**! Dr. Urshan’s weight loss center will give you the ability to lose weight safely and effectively with a personalized method that starts with evaluating the messages sent by your body and your physiochemical response*. Through this personalized medical weight loss program, you will reset your biological preferences and any weaknesses or imbalances**. Once this information is known, you will be able to lose weight through a personalized approach that is unique to you. Additionally, your risk of certain types of cancer is decreased when you lose weight**. When you lose this amount of weight in a little over six weeks*, you will feel better about yourself. See why so many people in Tampa Bay area choose Dr. Urshan’s Health & Weight Loss Center Tampa. Contact us today and take the next step the new thinner you!